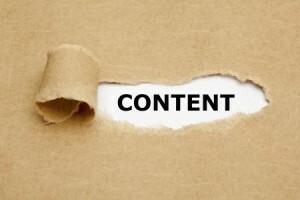 Building quality content is essential in expanding your brand’s presence. Without a plethora of great content offerings, what else can you use to attract people to your website? Even if you have products and services to provide, search engines expect that websites and blogs provide content in many forms in order to rank well in search. Ultimately, the biggest struggle in the war for great content isn’t creating the content: it’s ensuring that content is seen and heard by the world. Today, we’ll talk about some simple strategies for ensuring your content gets the voice it deserves after you’ve published it. Push marketing on social media is a pretty standard way to get the message out about your content. Unfortunately, it isn’t all you need to be doing. Keep in mind that people want to see more from you than just blanket promotion. Each recent post on social media can be augmented by other recent posts: the more engagement your brand gets as a whole, the more likely other posts are to be seen. This means that a funny but unrelated post on your Facebook page that gets a lot of likes and shares can help augment the visibility of your recent blog post. By focusing on delivering a quality and enjoyable experience on social media, you can get more visibility for your content than push marketing can provide. Remarketing can be a sure-fire way to attract the attention of the right people for your content. Remarketing works by aiming campaigns at a larger number of people initially, and then filtering down in subsequent campaigns to be pinging links at specific visitors. Once somebody has demonstrated interest in your brand, it is much easier in the future to get them to engage once again. This can make it very easy to target specific people with specific content offerings at a later date and get the most initial attention possible. Additionally, it ensures that the audience you’re targeting will be more likely to share, thereby amplifying your content’s reach even more. Boosting content exposure can be done in many different ways and can produce dramatically different results. Those who are fixated on increasing content visibility have many options available, but those who want to boost content immediately may find that retargeting, organic social media marketing and targeting influencers generates the best and most relevant results.